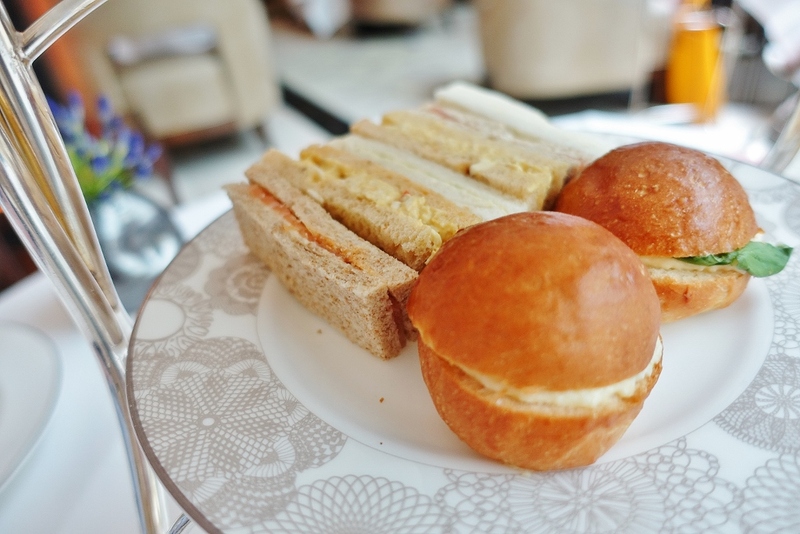 A few weeks ago I was invited to have afternoon tea at the luxury Conrad St. James Hilton Hotel in Westminster, London. 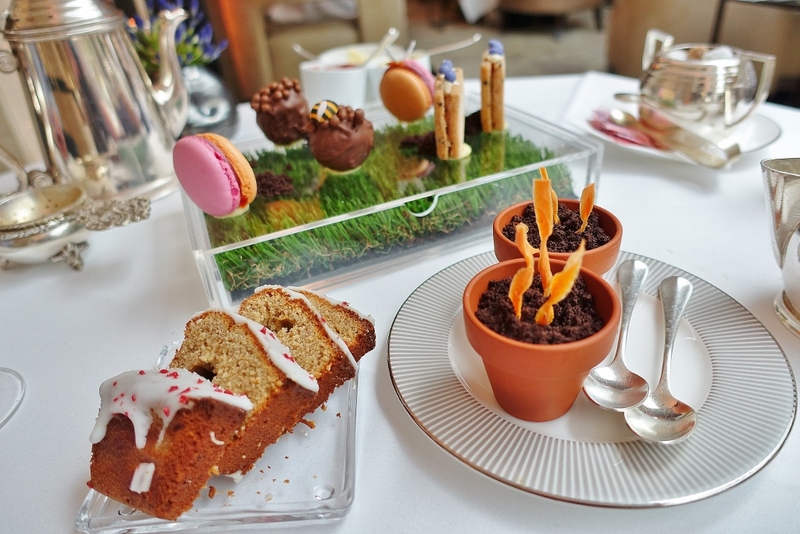 But this wasn't any ordinary afternoon tea; it was themed around a 'glorious garden'. 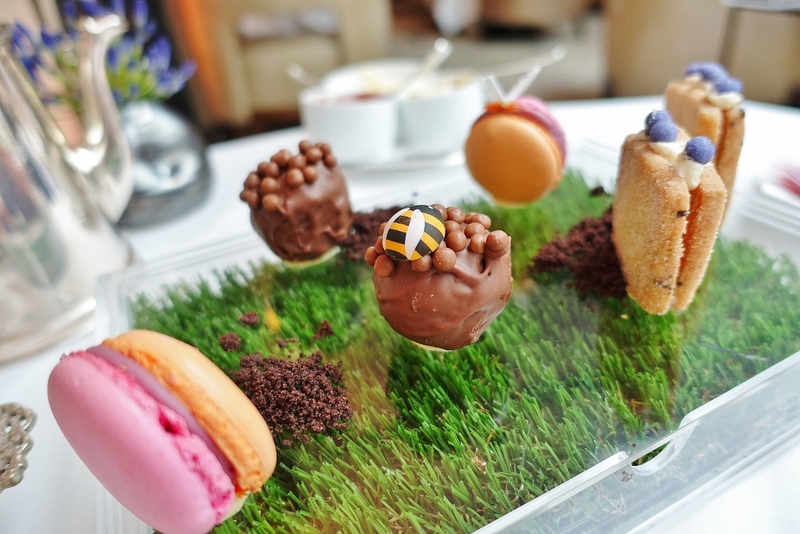 I was suitably impressed as I've never been to a themed tea before and with so much competition in the popular afternoon tea space, there's a calling for unique elements and a touch of diversity to your offering, and the team at Conrad St James definitely did that. 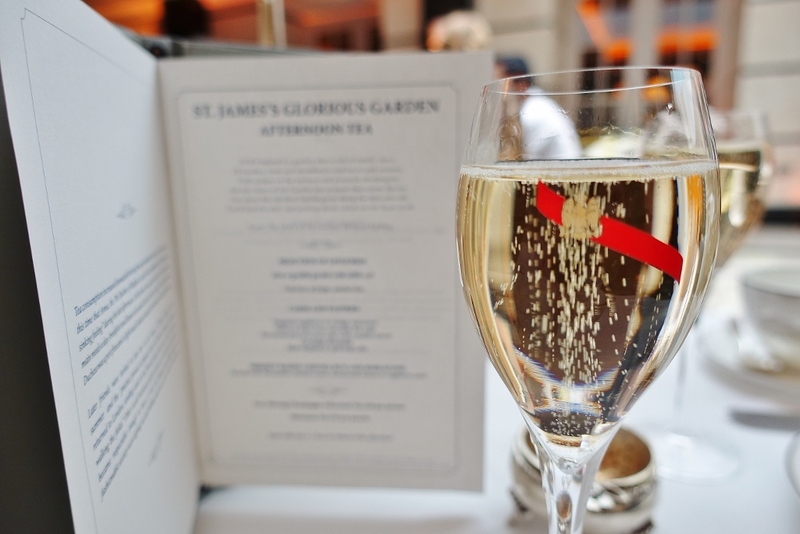 We sampled the St James 'Glorious Garden' package complete with 'free-flowing' champagne. Now this really was provided in free-flowing quantities! Not once was I able to reach the bottom of my glass! 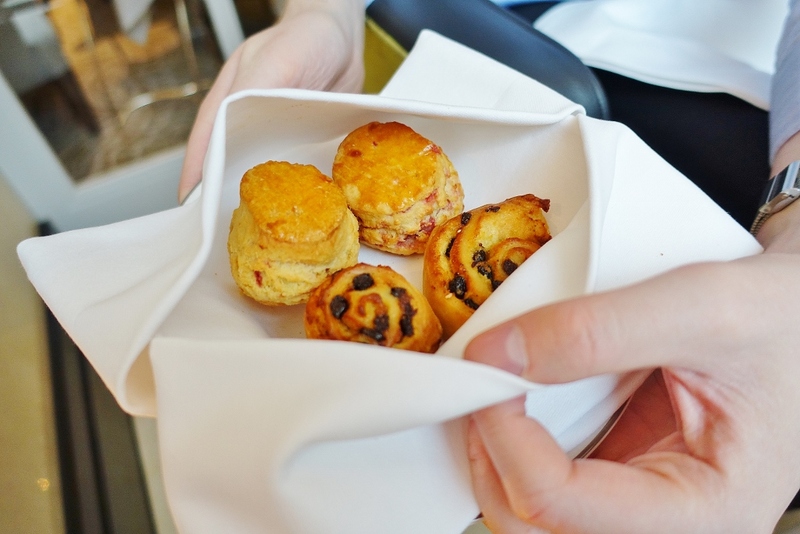 You have the tables for a time-slot of around 1 hour and 30 minutes, which was more than enough time to relax and enjoy the food, as well as sample enough of your monies worth in free-flowing champagne. 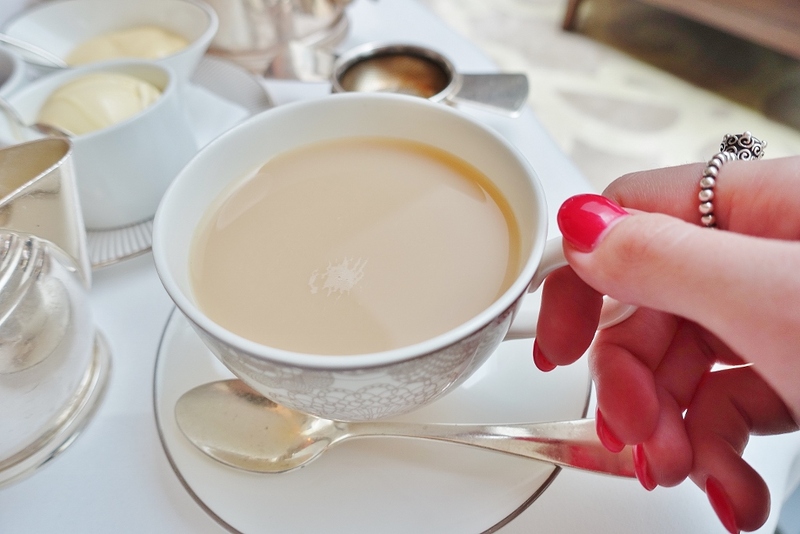 It was after all a 'tea' event so I knew I couldn't just sit there and sip champagne all day (as lovely as that would be), I needed to try some of tea infusions on offer too. 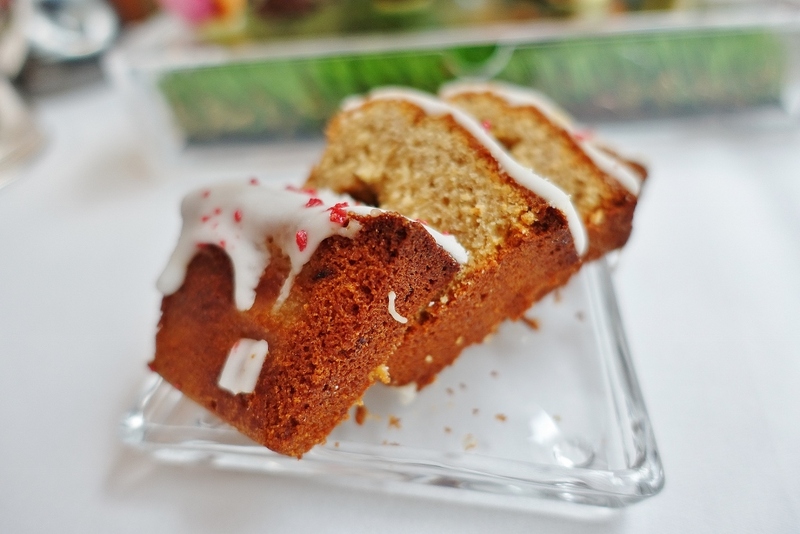 I opted for the simple 'Vanilla Black' which was ever so slightly scented with vanilla and had the perfect perfumed taste; adding milk was a nice accompaniment too. 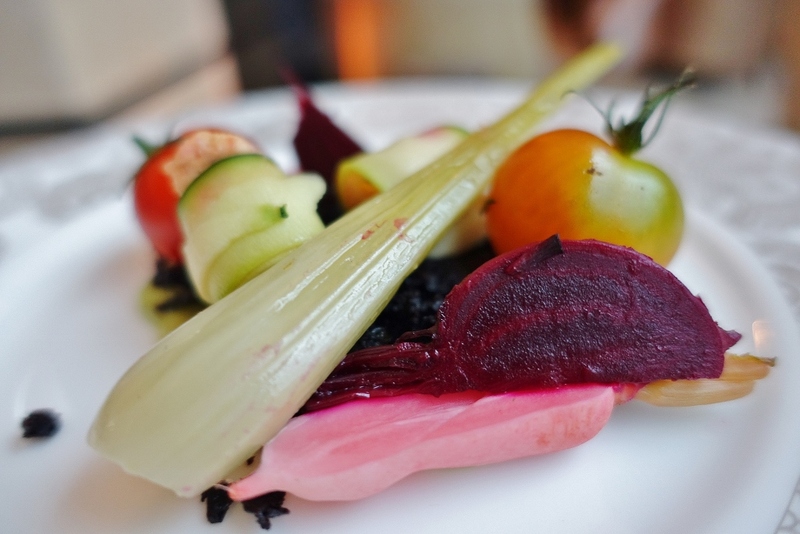 The food was very creative and pleasing on the eye; it really looked the part. Lots of little elements followed the 'glorious garden' theme which all added to the experience. 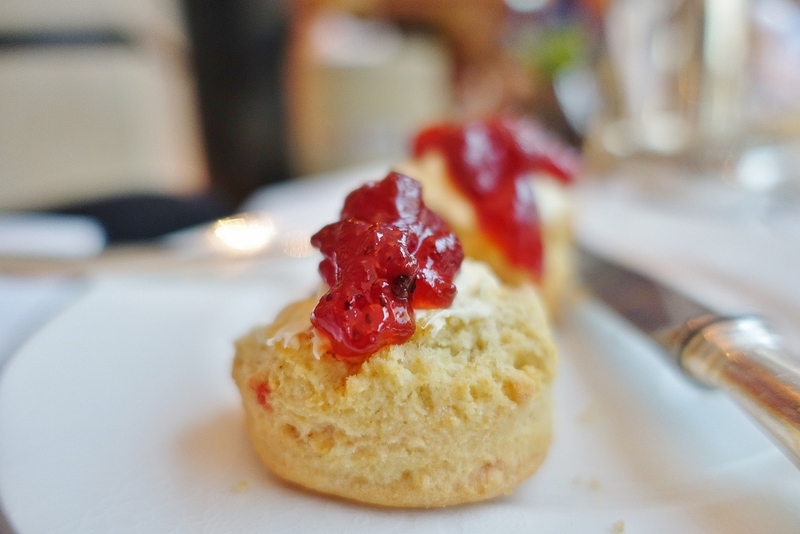 Unlike other afternoon teas, we started with a selection of savouries, if you've read my previous afternoon tea reviews you will have heard me mentioning wanting the best of both worlds; savoury and sweet. So this starter definitely satisfied the palette and made me even more ready for the sweets! 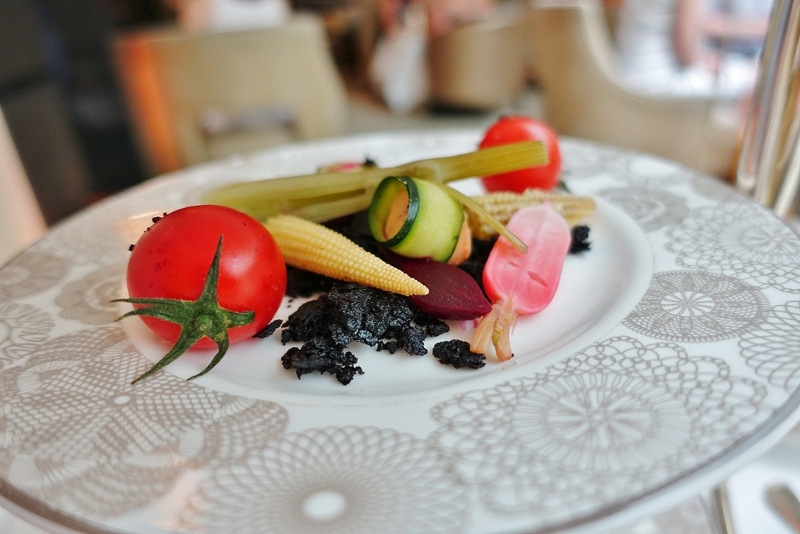 The savoury crudite plate featured mini vegetables, cherry tomatoes, which were set in an edible soil (basically olive tapenade - which was lovely). This dish is normally served with a green pesto mayonnaise too (They catered mine without the pesto as I have a pine nut allergy). We were then greeted with the typical selection of finger sandwiches; smoked salmon, coronation chicken (this was my favourite! ), cucumber and egg mayonaise. Devonshire clotted cream, homemade lemon curd and raspberry curd. Lemon curd is my favourite, and even better combined with rich clotted cream. 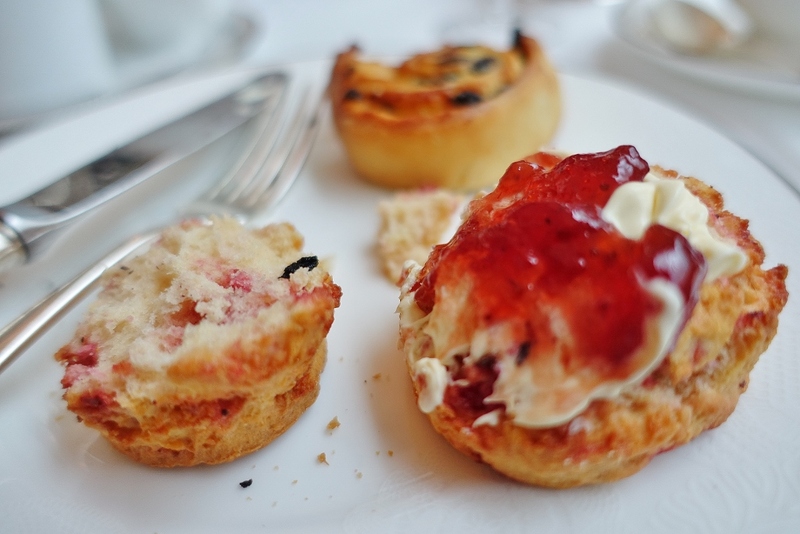 I was in scone topping heaven. And finally the cakes graced our table; these really were the show stoppers of the glorious garden, with all the cakes set above a plastic casing of real grass. It was all decorated with such detail and individual thought. The honey and earl grey chocolate bee cake pops were the cutest, and the tastiest of the bunch! To top it all off carrot cake was served in mini plant pots with candied carrot - this tasted great, the perfect size and a rich finish. 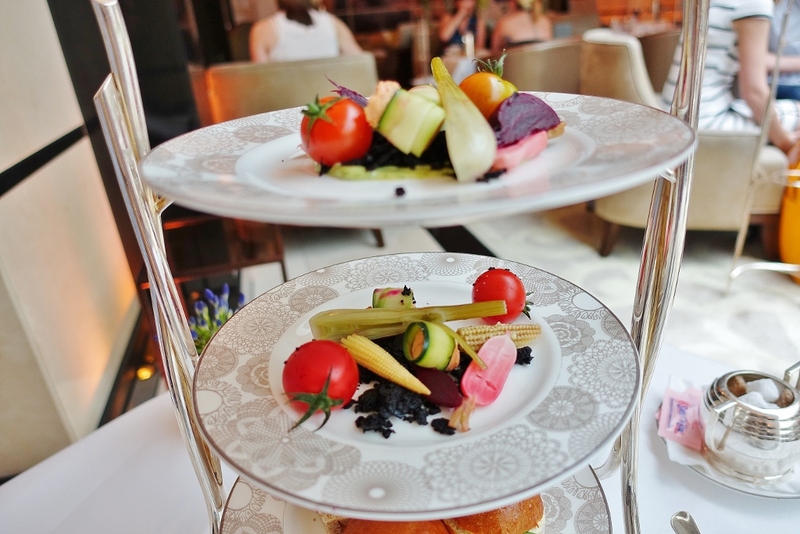 The next themed tea is 'Summer in the City' starting on July 12th, I'm sure this one will be as creative as the next! Hope you liked my review and thanks very much to the team at Conrad for having me and Ophir PR for arranging! 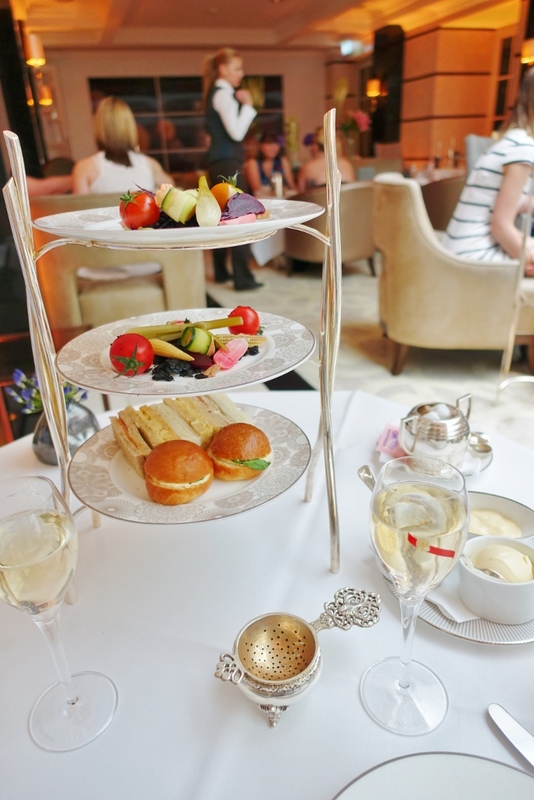 This does look like a very summery afternoon tea. Nom Nom. How cute is this!? I do rather love a well-executed themed tea! Oh my this looks amazing! 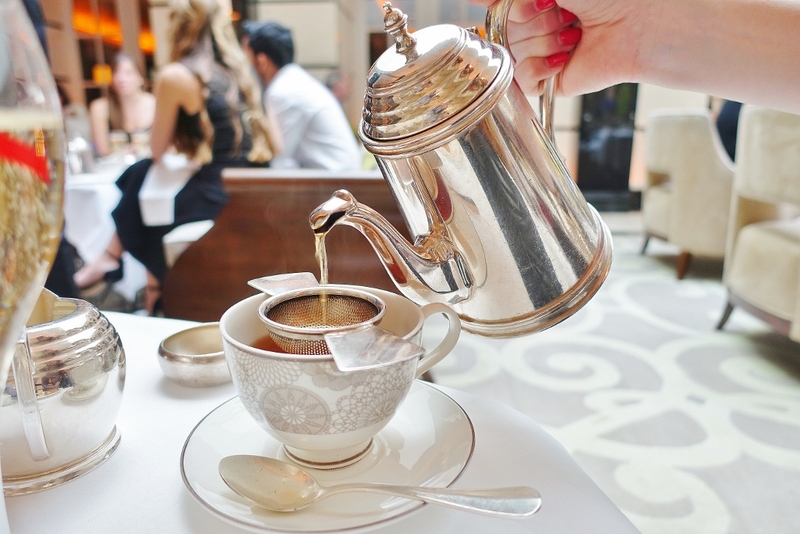 I have too many afternoon teas on my bucket list! Those little plant pots are so cute, great pics!